I am a lip snob. You would have to be in my shower to catch me without something on my lips. Gloss, glaze, stick, balm, lacquer, or even chap stick ... anything to keep the lips looking luscious. Don't get me wrong. I'm not the kind who has big, bold colors that make my lips enter the room 14 seconds before the rest of me does. I prefer subtle colors, demand no offensive tastes, and need a texture that doesn't make my husband shutter in disgust when he kisses me. I've tried it all. Expensive, cheap and everything in between. I cannot bear putting on anything that is "long lasting." It clumps up and makes my lips feel like sticky, muddy swamp water with a side of grit. Some products that smell good, taste awful. Some that taste good make my lips look like stalagmites and stalactites forming deep inside of a humid cave. Yes. I am a lip snob. 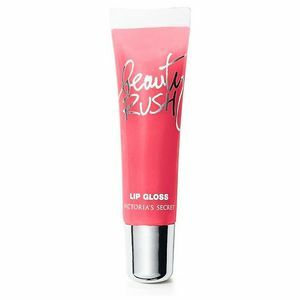 About three years ago, my sister-in-law got me some lip gloss from a place I NEVER would have thought of buying it for myself: Victoria's Secret. Not only did I think VS was just for things below the neck, even with my love of all things lip I didn't think I could indulge on myself quite that much for something so vain. While they have a wide variety of products available -- lipstick, lip gloss, lip liners, lip glazes -- they really aren't all that expensive. This Christmas I discovered their Brilliant Lip Shine, $10. 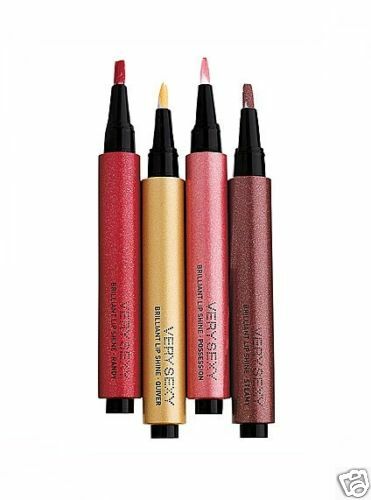 These tubes are styled like a ball-point pen where you click the end of the "pen" to dispense the gloss onto a perfectly-sized brush that neatly paints the lips, without overdoing it. With a variety of colors like charm, undress, party girl, rock me, randy, torrid, mischief, fling, steamy and flaunt, I would guess there is a color for every skin tone, mood, outfit and occasion. Brilliant Lip Shine feels natural on my lips. Nice and soft. Never icky or sticky (or swampy or cave-y). It has a light, undetectable flavor which does not interfere with food. I love it so much that I wear it even when I have no place to go and nobody to see. If I'm feeling colorful enough that I don't need to add color to my lips, their flavored Beauty Rush lines of lip glosses run 2 for $12 or 5 for $20. Just a slight tint to the lips, but the flavors are sensual and so unique: Fineapple, Cherry Bomb, Mocktail Hour, Bubble It Up, Passion Fruitpop, BubbleMinty, SpearMinty, etc. My niece, 9, and the female friends of my son, 5, go crazy over these. More shine than color, these glosses are just enough to please both the "4 going on 14" girls as well as their "I'll never survive the teens" mothers. (It was these girls who made me realize that I always had a tube tucked neatly into every purse, pocket, bag, nook and cranny.) Like Brilliant Lip Shine, these feel very comfortable and natural on the lips. I give Victoria's Secret lip products two smacks of the lips! And two thumbs up. I've never thought of you as a lip snob, but I do notice that your lips always look FABULOUS!!! Love the this review. I must be a lip snob too. Esp. the part about smelling great doesn't mean tasting great and vice versa. I had to tweet because the only thing dry I like on my lips is a martini. Eww. Not even that. I like my tini's sweet & sour, not dry. I'm afraid I (and my gloss-less lips) am am the reason a certain 9 year old is always raiding YOUR purse for lip products. But I do like the way those pen-thingies make your lips look. And if you tell me they aren't swamp-y cave-y, I just might have to try. Sheri, is this the year you start turning younger? It will be if you get some lip gloss as a present! rajean, since I read your comment, I've been pondering all day how many pounds of lard I've consumed in my lip-product-wearing lifetime.